The Master Classics is back in Amsterdam in November with a “Silver Edition” to celebrate the event’s 25th anniversary. The 15-day event features 16 events from November 12-26 at Holland Casino and includes the €4,000 + €250 buy-in Main Event, €1,250 + 80 Silver Edition Freezeout and €25,000 High Roller. Do check out MainEventTravel's myriad hotel options in this exciting city. Last year Finnish pro Jussi Nevanlinna took it down after beating a 291-strong field and Greek phenom Georgios Zisimopoulos heads-up. 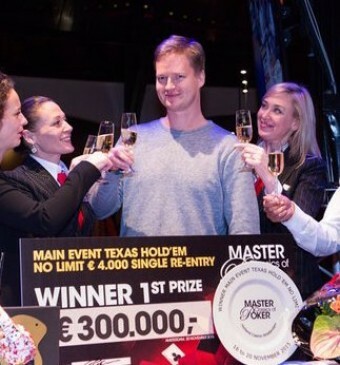 The €300,000 prize was the best live cash of Nevanlinna’s career and he is currently ranked eighth in his country’s all time money list with close to $2 million in live tournament winnings. His second biggest score also came in the Dutch capital when he was runner-up there in 2011 to local hero David Boyaciyan.